Collagen is the protective fiber that serves as the connective tissue in the body. Made of protein, collagen contains large amount of two amino acids, according to the George Mateljan Foundation. Hydroxyproline and hydroxylysine provide collagen with the flexibility and strength to hold tissue and organs together, expand with growth and repair damaged cells. With age, sunlight and free radical exposure, collagen in the skin loses its elasticity and produces new cells at a much lower rate. While creams and collagen injections temporarily can restore lost collagen, other, more natural techniques may be preferable. Eat foods high in vitamin C to provide your body with the tools to turn proline and lysine into collagen. The most effective sources of vitamin C include most fruits and vegetables, according to the National Institutes of Health. 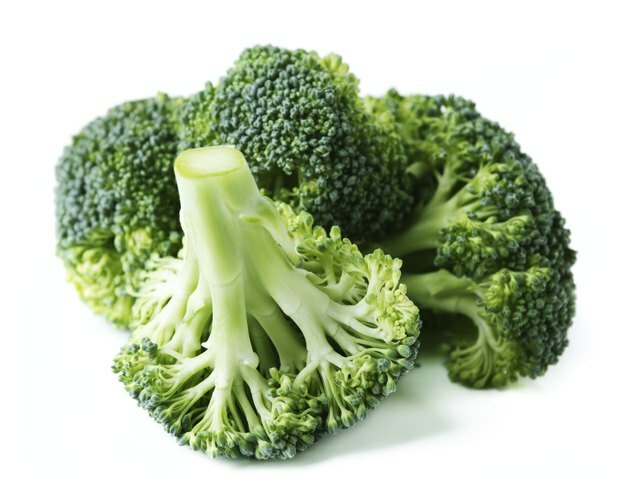 Particularly effective sources include broccoli, strawberries, tomatoes, blueberries and leafy greens. Include lean meats, egg whites and wheat germ in your diet to supply your body with sufficient amounts of lysine and proline needed to restore collagen. According to the George Mateljan Foundation, peanuts are another effective source of the amino acids that make up the structure of collagen. Apply creams on your skin that contain tea extracts. According to the Mayo Clinic, oolong, green and black teas contain anti-inflammatory ingredients and antioxidants that can restore collagen and temporarily reduce the appearance of wrinkles. Add garlic to your diet to support collagen production. According to the George Mateljan Foundation, garlic contains taurine and lipoid acid, amino acids that contain sulpher, known to help slow down the damage done to collagen. Use foods high in phytonutrients to complete your collagen diet. Anthocyanidins found in fruits such as blueberries, cherries, raspberries and blackberries, has been found to strengthen the collagen fibers to maintain firmer and healthier skin tone. Prevent additional collagen loss by always wearing sunscreen when outdoors, even in the winter and on cloudy days. According to the American Academy of Dermatology, you should use a broad spectrum sunscreen that protects against both UVA and UVB rays that provides at least 30 sun protection factor, or SPF, coverage. Beware of skin care products that use the words "natural," or "organic." According to the American Academy of Dermatology, those descriptions are marketing terms that don’t always mean the products are created in their natural state. For example, plant extracts undergo extensive processing before they can be used in a delivery system such as a cream or lotion. George Mateljan Foundation: Which Foods Promote Collagen? Is It Possible to Rebuild Skin Collagen?